It takes us (my photographer and I) a good 20 minutes or so to find his office. The tiny lanes are claustrophobic and busy as we drive past tea-sellers, donkey carts, badly parked cars and motorbikes, printing shops and offices that seem to spill over in a mesh of weekday chaos. We are in Royal Park, in Lahore. 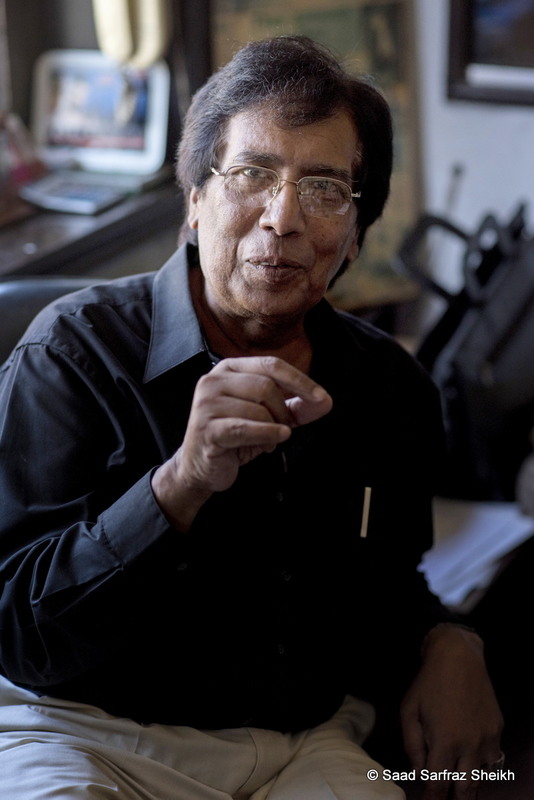 Seated at his desk and dressed in a black button-down and cream-colored pants, Sarfraz Iqbal (or ‘S Iqbal,’ as he’s more commonly known) greets us with a warm grin, apologizing profusely for not being able to send his attendant downstairs to guide us to his office. The attendant is away, he mentions, and then apologizes again. 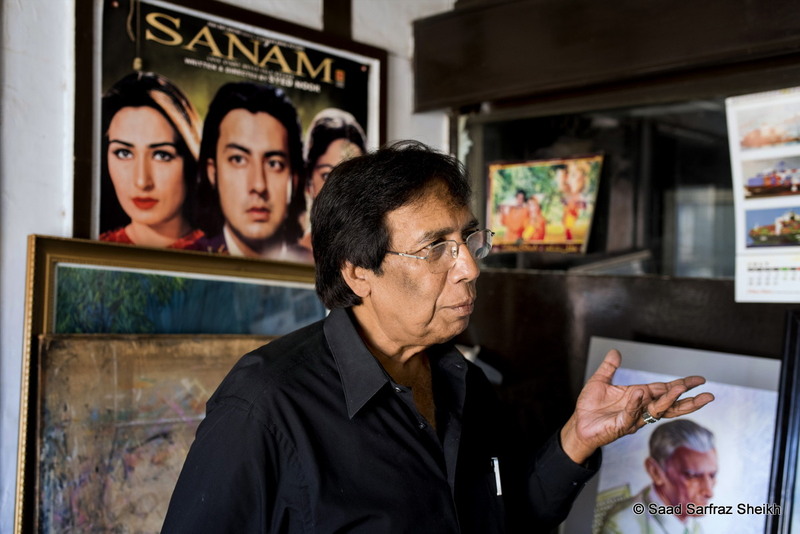 Iqbal’s work spans decades — from 1962 until today, Lahore’s last Lollywood poster artist (who draws by hand) is still at it. “My interest in my art has never diminished. The day I stop working, that’s the end of me,” he says, half-joking, half-serious. 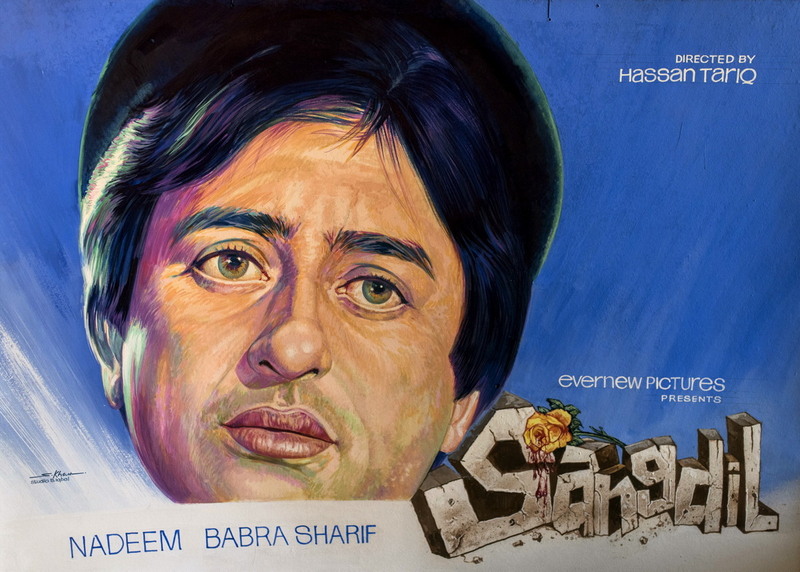 Pakistan’s film industry has suffered grossly over the years — it went into decline thanks to censorship policies and the like, following General Zia-ul-Haq’s Islamization of Pakistan from the tail-end of the ’70s. 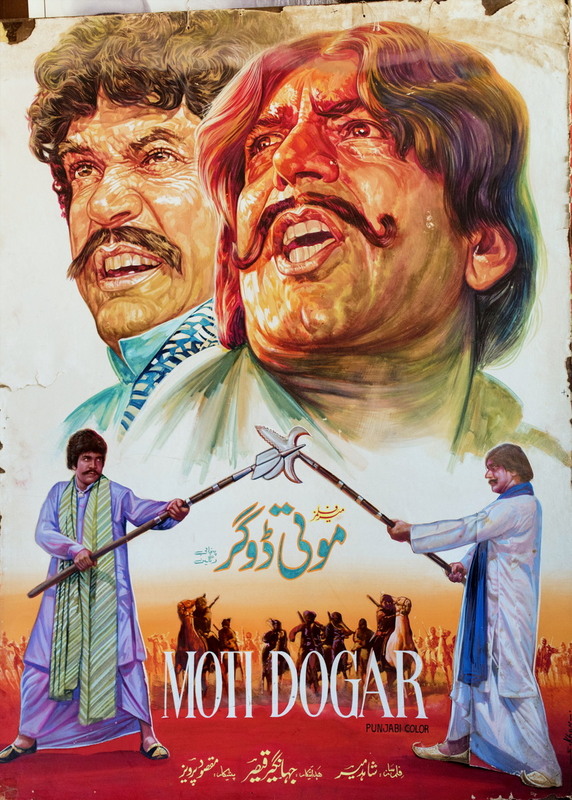 Even though a new breed of independent Pakistani filmmakers have begun to offer local audiences alternative cinema in the form of thought-provoking storylines (staying far away from formulaic Lollywood themes, song and dance), a mass revival of Lollywood is barely stirring to life. Currently working on a few posters and his upcoming exhibition, Iqbal reveals that he often finds himself waking up in the middle of the night. Does he get angry because he feels the need to be more creative, I ask gently. “Yes,” he responds quickly. “Yes. I feel the need to be more creative. I practice every day.” He hands me a thick sketch pad full of portraits of men and women — some are celebrities, local and foreign. “I sketch every day in this book, like a child,” he says with a laugh. Wow! How cool is this?! I wish there were some way for him to carry on his legacy. Excited that there will be a book too!